What to do in an emergency - click here. Health International successfully provides health insurance cover for Members who are located primarily in Botswana, D.R.C., Lesotho, Malawi, Mozambique, Namibia, R.S.A., Swaziland, Zambia and Zimbabwe. 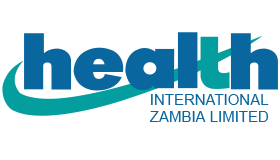 Health International has been operational in Sub-Saharan Africa, primarily in Malawi and Zambia since the mid-1990s. In April of 2004, Trilogy Benefits Group in Zimbabwe, were appointed by Health International Group Limited, as administrators for Health International Membership Plans. AIR Health International were appointed by Health International Group Limited, as case management specialists for Health International in 2005. Health International Group Limited (“Health International”) completed the establishment of its own Insurer, Emerald Insurance Company (Mauritius) Limited, effective 1 April 2018. Subsequently, effective 1 February 2019, Emerald Insurance Company (Mauritius) Limited has been renamed Expacare Insurance Company (Mauritius) Limited. Expacare Insurance Company (Mauritius) Limited (“Expacare Insurance”) will continue to be backed by A-rated reinsurers at Lloyd’s of London giving brokers and their clients the ongoing stability they expect. Expacare Insurance is the primary carrier of all membership schemes offered by Health International. This is a very positive development as having our own Insurer means that Health International’s long term security will continue to be strengthened enabling us to maintain competitive products and premiums whilst providing excellent customer service. Combined with recent investments into our infrastructure and our growing team of health insurance professionals, the establishment of our own Insurer gives us a huge step up across the entire health value chain.